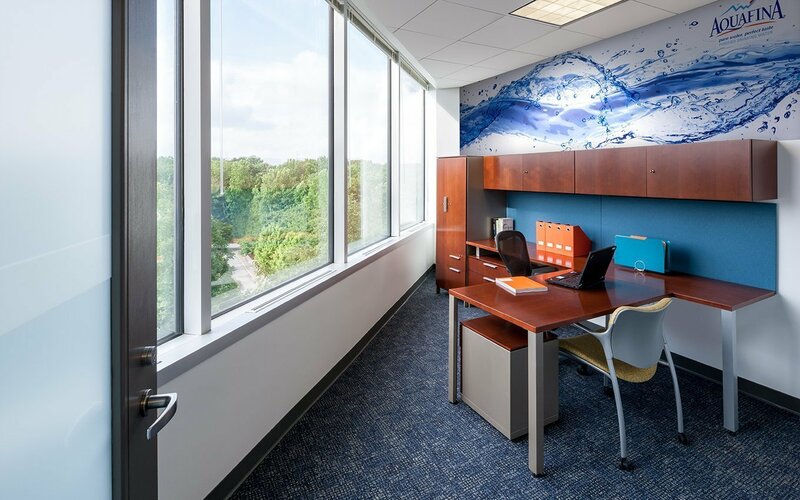 Pressed by the need for immediate additional space to accommodate expanding operations in Winston-Salem, PepsiCo asked CJMW Architecture to design a series of phased office renovations and expansions on an accelerated schedule. 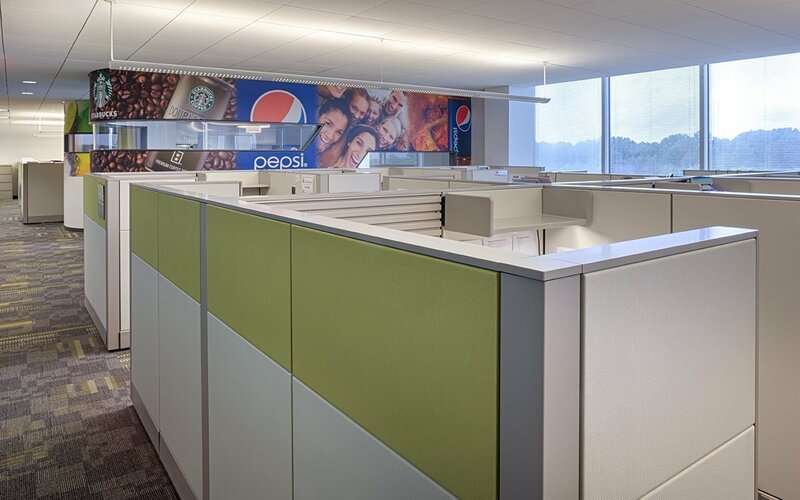 The aesthetic is contemporary but comfortable for this high-density call and sales team center. 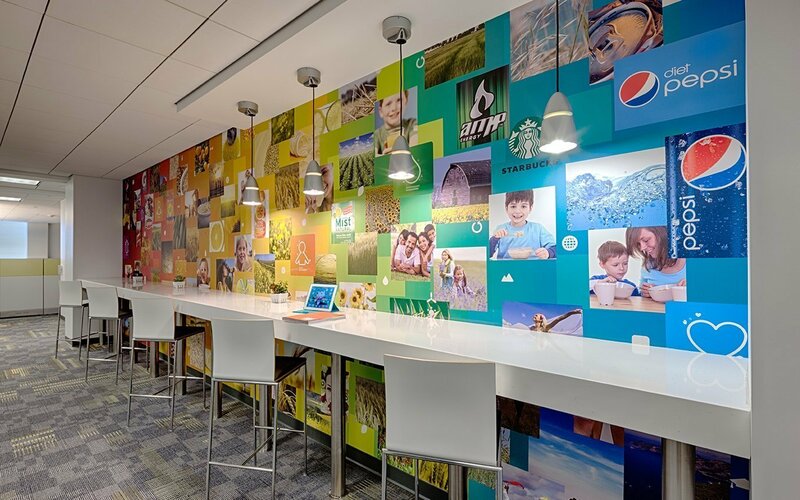 The design team navigated the needs of the end users and PepsiCo’s newly developed aesthetic brand standards. 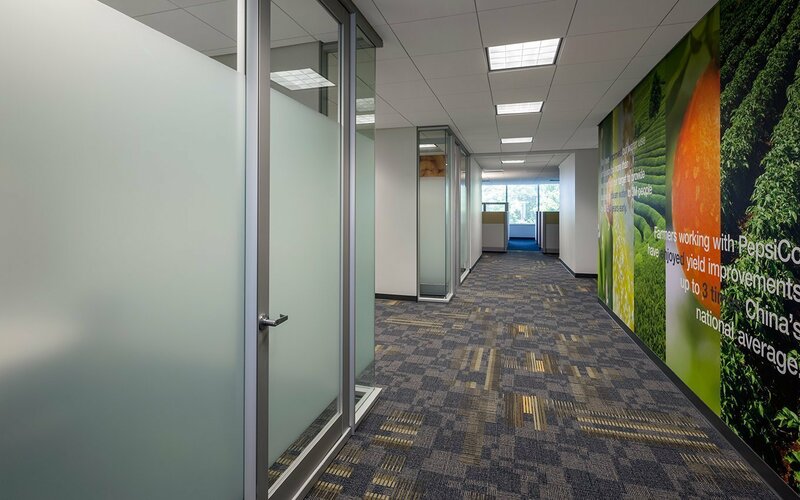 CJMW Architecture’s first scheme for the initial project was developed through a day-long work session, successfully achieving both corporate and end user objectives. 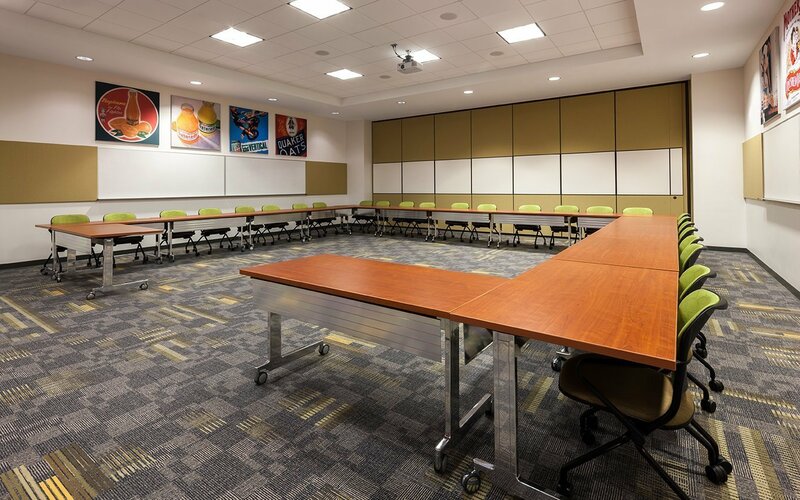 Located on multiple floors, the projects include open office areas, private offices, plus huddle, conference and training spaces, and break rooms. The form of the 1980’s era building consists of one long mass, intersected by a series of square masses set at 45 degrees, creating v- shaped interior spaces where the corners of the square masses intersect with and extrude from the primary mass. 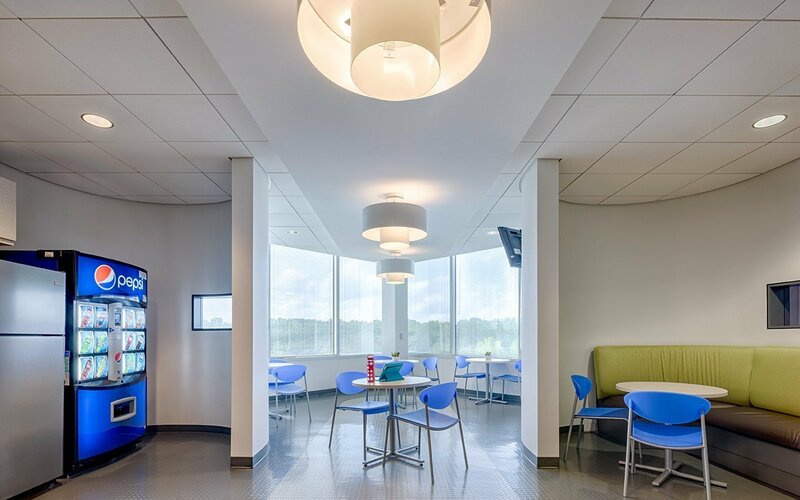 CJMW’s interior designers used this “extra” space to advantage in one of the break rooms, creating a light-filled seating area. 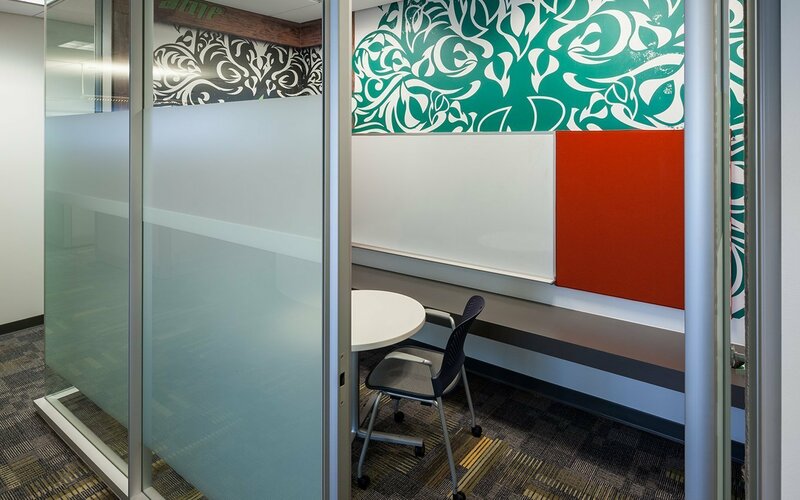 Similarly, tucking private offices into these v-shaped areas allowed the design team to maximize floor space for open offices. The team crafted several methods to expedite project process, including early involvement of the General Contractor and setting block meeting sessions for submittal review and coordination. Online and electronic presentations were essential in working with an Owner team spread across four separate US locations. This full-team collaborative work process allowed integration of ongoing Owner changes even within the framework of the accelerated schedule. 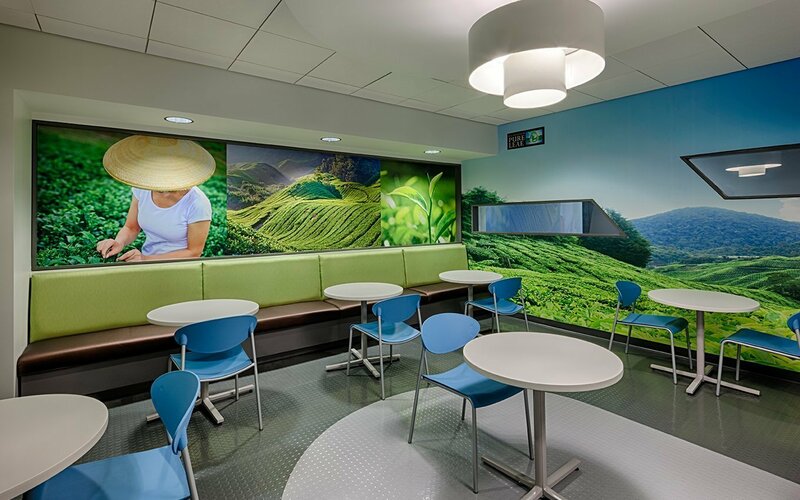 Sustainability was a key component; the work is LEED Silver® certified. 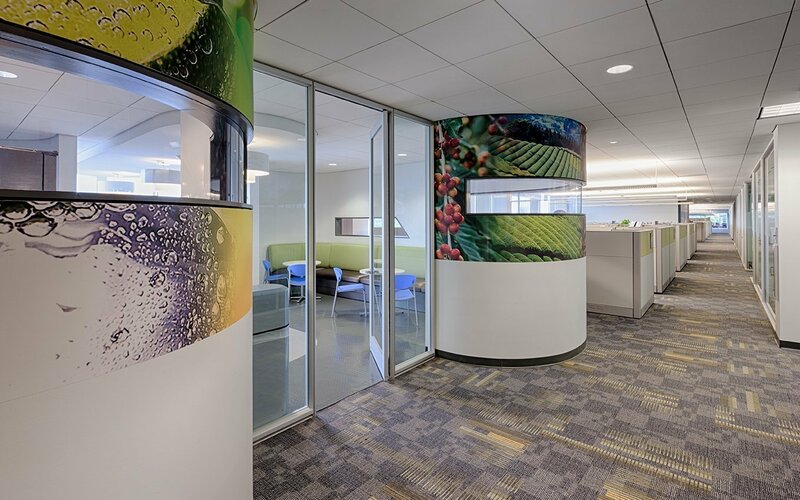 Multiple strategies, including demountable interior walls, address sustainable goals.